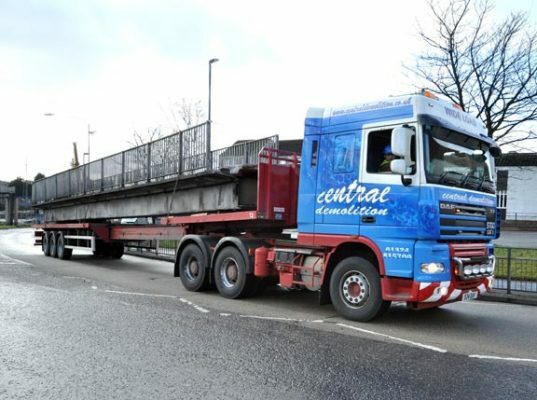 Central Demolition Limited were awarded the contract for the removal of the link bridge at Gleneagles Station – a steel frame bridge with cast in situ concrete deck. 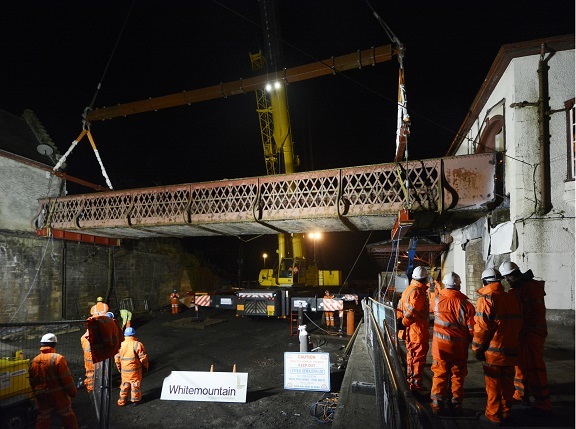 A lot of preparatory work went into this project to ensure the link bridge removal ran smoothly on the night. This included creating a safe access route onto the bridge and clearing silt and vegetation. We also had to carefully check the dimensions and weight calculations of the bridge to ensure that our lifting plan was accurate. These works definitely brought to life the saying ‘working against the clock’. 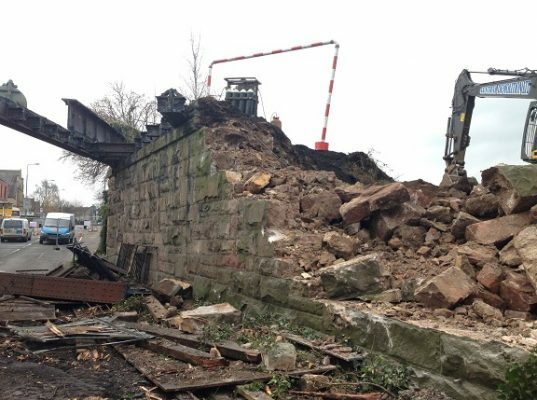 That was due to our small window of opportunity – the bridge had to be removed during an 8 hour Network Rail possession. Due to the age and unknown condition of the bridge, no cutting of the steelwork could commence until the crane was in position. The crane held the full load of the structure and the bridge was cut at either end. 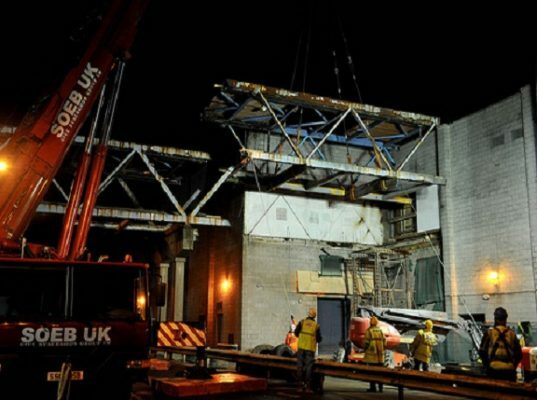 The bridge was then carefully lowered to the ground in one section and then transported to Perth & Kinross Council’s yard. The council now plan on restoring the structure so that it can be put on display. 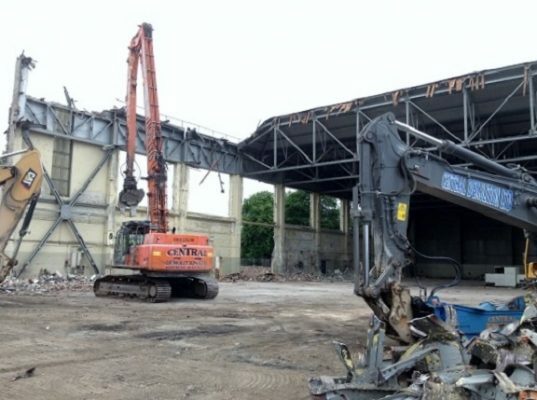 With very little margin for error on this project, it was important that we liaised with Network Rail and client representatives to ensure there was no structural damage to the remaining structures at either side of the bridge. 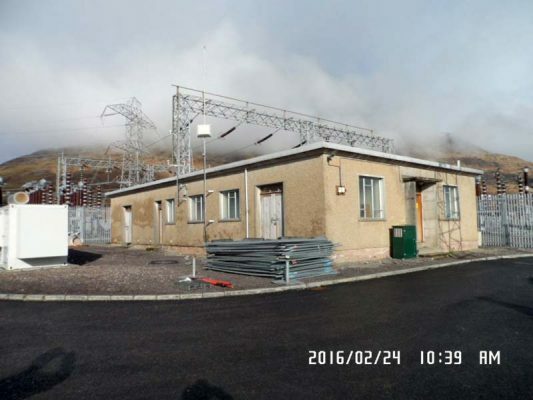 Precision was of paramount importance, and we ensured that we did not cause any structural damage. As with all of our projects, there were challenges and risks. We thrive on a challenge – and the restricted timeframe certainly kept our guys on their toes. There was also a lot of pressure on us not to damage the bridge as it is being restored – and we are pleased to say that we managed to remove the structure and have it transported to the council’s yard without causing any damage. This project was certainly risky. We were working in close proximity to the railway line – and although all passing services had been suspended we had to be very careful. Also, the bridge was not in an isolated location so there were neighbouring properties; but with our experienced team and precise work we caused no damage.